Thanks for your work on Ubuntu to make it more nice to use. I have a little remark, nothing really wrong, but a wish that would make life easier and could be added to Paper Cuts if you agree. But, in any Gnome program (Totem, OpenOffice...) when we want to open / save a document for example, on the window which opens, if we want to order the files the same way, the most recent at the top, the arrow appearing here just near the text "Modified" is pointing... down ! Thus it would be great if that arrow view could be uniform, I think there might be just a little thing to fix. 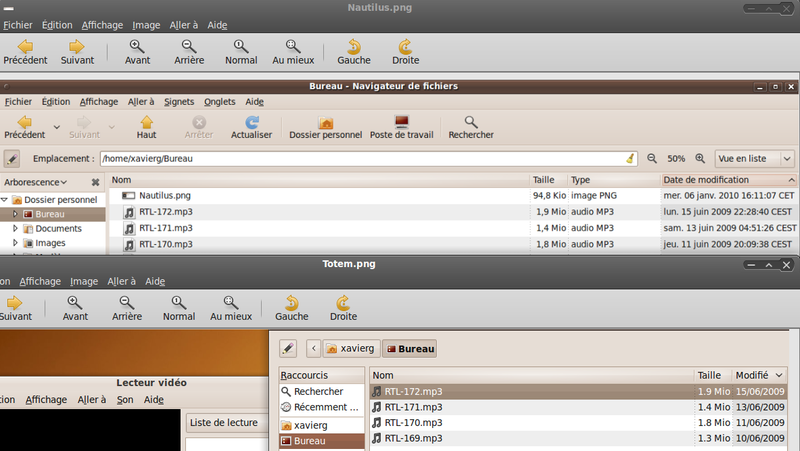 I can confirm the behavior is different in nautilus and gtk+ , but who is to change the behavior? gtk+ behavior is consistent with windows7. While nautilus behavior is consistent with rhythmbox , gconf and other gnome apps. maybe we should make gtk+ consistent with gnome? This happens not only for the modified column but any sort in gtk+ has the arrows pointing opposite to gnome apps. example - most recent files on the top = arrow pointing up. > is to change the behavior? > gtk+ behavior is consistent with windows7. > maybe we should make gtk+ consistent with gnome? Bug is still present in Ubuntu Lucid and remains unconfirmed in Gnome bugzilla since January. Is it planned to fix it on papercuts for Maverick ? This has now been fixed upstream and will be available in Maverick.